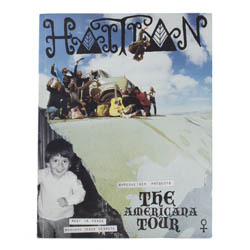 Haitian Magazine following the Shredweiser Americana Tour through California, Oregon, Washington, Nevada, & Arizona. Cruising with an epic crew including: John Bolino, Adria Saa, Seba Seufferheld, Marc Moreno, Brian Bina, Billy Oneill, Matty Schrock, Chris Dafick, Erik Bailey, & many more. Stopping by some landmark spots like Glory Hole, Lake Shasta, & Slab City. Including an arist profile & interview with Kyler Martz. SHREDWEISER Presents THE AMERICANA TOUR from Shredweiser on Vimeo.